The dream for almost every online business owner I talk to is to get free traffic. You see, traffic is the life blood of all online businesses and if you don’t have any, then you really don’t have a business. So it is absolutely imperative to the survival and growth of your business that you have a consistent flow of quality traffic to your website. 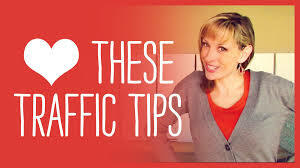 But there are many forms of traffic, however in today’s Blog post I want to focus on Free traffic strategies. So read on as I reveal to you 9 tips that you can begin to implement today in order for you to get free traffic to your website. 1. Ensure Your Content is Good Quality. Search engines such as Google and Bing will quite happily provide you with streams of free traffic to your website if your content is deemed to be of good quality, is highly relevant to the search query, and provides value to your visitor. If your website does not appear to be relevant to the search or is of poor quality then the search engines will rank it lower in the results, or even worse totally ignore it. If you start, optimize and maintain an interesting blog, free website traffic will be attracted to it and importantly, keep coming back. Moreover, if your blog is good, targeted and relevant, your readers will also recommend it to others within your target market. with the keywords your audience type in to search on the search engines. the last sentence if you can. You should aim for approx 500 words per page with between 4 and 8 keywords on it. The number of keywords on the page is called keyword density. found and read by people, not just by the search engines, keep this in mind always. Websites such as Facebook, Twitter, LinkedIn and Google+ receive massive amounts of traffic everyday, almost all of which is free and can bring your business to a whole new level. Therefore, as long as you regularly produce high quality content relevant to your market and website visitors, you will find that people will be only too eager to share it on social media. This can produce a fantastic viral effect which results in huge amounts of free traffic to your website or blog. Another good way to get free website traffic, is to provide value by giving information away. This can be in the form of free newsletters, free reports, training videos or even discount coupons. Basically, you promote your free “stuff” via Social Media outlets with a link to your website (preferably a squeeze page like this) where your visitor can gain access to whatever it is you are giving away. Despite what many of the so called “experts” in the internet marketing world say, Article marketing can still be a very effective strategy to get free traffic to your website or blog, but you have to know what you are doing, and do it consistently. Effective article marketing is about creating content that clearly demonstrates your expertise or knowledge and again contains valuable and relevant information that compels the reader to visit your website to discover more. Ensure that you keep your site design simple in order for your visitors (and the search engines) to navigate your website content. Ensure that your website is regularly updated with clear, concise, simple to view, simple to read, and easy to understand information. If your visitors (or the search engines) have trouble finding, navigating, reading or understanding your content for any reason whatsoever, your visitors will more than likely NOT return, and your search engine ranking will be effected. Video marketing is a very powerful and effective way to bring free website traffic. YouTube is the second largest search engine (and is owned by Google anyway) and with the easy to use technology available on tablets and mobile phones these days, you can have a video recorded and online sometimes within a few minutes. 9. Post New Content on a Regular Basis. It is a known fact that Google loves new and fresh content, consequently websites and blogs that publish new information on a regular basis get more free website traffic than those who don’t. So ensure you are always updating your website or blog with new and relevant content following the keyword insertion techniques mentioned earlier. For more detailed information regarding keyword research and insertion, read this earlier blog post. So that’s it, follow the instructions above and you will certainly find an increase in free traffic to your website. PS.THE most common issue that people have when they try to make money online is generating traffic. If you have no traffic going to your website or sales pages you WILL NOT make any money. However, generating traffic is one thing but turning it into profitable sales is another. This entry was posted in Affiliate Marketing, Article Marketing, Blogging, Home Business, Information Marketing, Internet Marketing, Sales, Traffic and tagged Article Marketing, Blog, blogs, Facebook, free, free traffic, get free traffic, get free traffic to your website, Google, internet marketing, keyword, Keyword research, keywords, LinkedIn, Search Engines, traffic, twitter, website, YouTube. Bookmark the permalink.